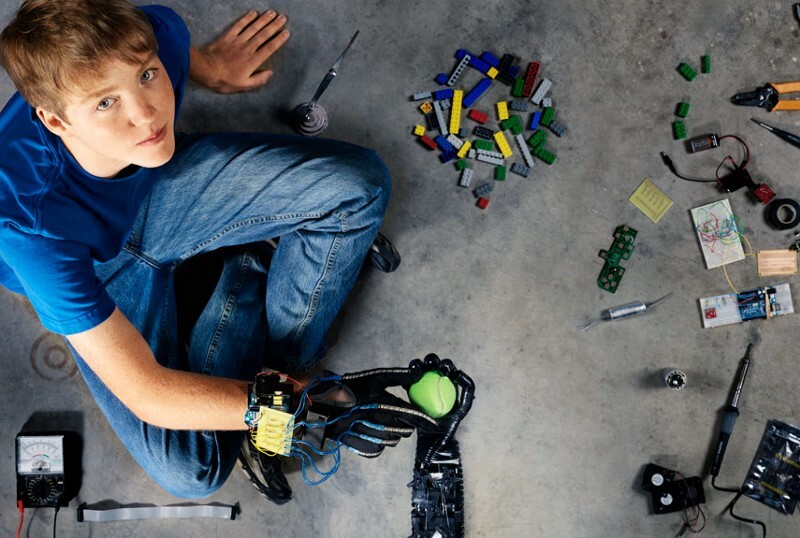 It all started in a bedroom in a Colorado mountain town, when a 14-year-old boy grabbed the materials around him — fishing twine, legos, and the motors of toy airplanes — to create his first robotic arm. Over time, this young teen made resourceful improvements to these limbs: dental rubber bands from braces moved the fingers, a windshield wiper motor from a car became an elbow motor. Soon, this hacked together robotic hand could shake hands, toss a ball, even interact with people. Through tireless trial and error, 3D printing and teenage resourcefulness, this robotic hand would evolve into one of the most efficient, affordable prosthetic arms on the market. 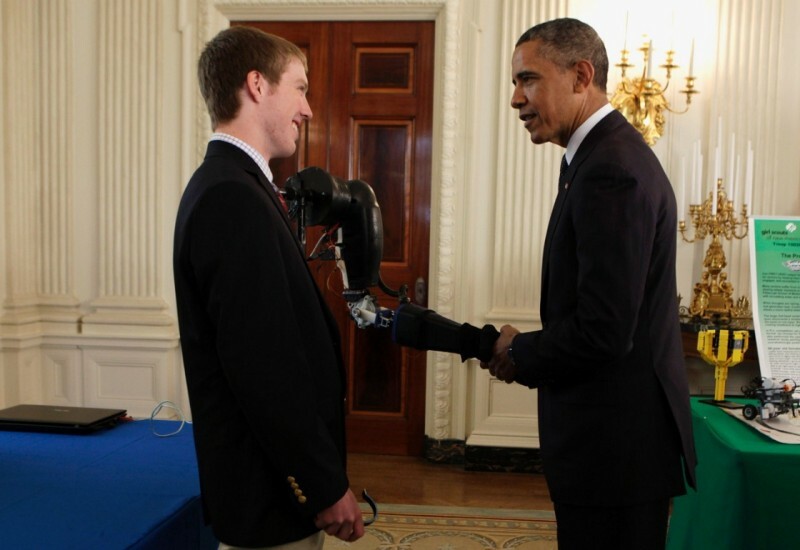 In just a few years, the young inventor would meet President Obama and work at Microsoft and NASA, using his mastery of robotics to introduce a new kind of prosthetic limb. Easton LaChappelle, now 22 years old, is not only changing the prosthetic industry through these low cost, customizable human-like limbs, but is also changing the lives of amputees. Today, his company, Unlimited Tomorrow, has raised $1,109,291 and counting through our equity crowdfunding platform. LaChappelle partially credits his small hometown of Mancos, Colorado. With a population of around 1,300 and a graduating class of 23 students, he became curious about the world outside of Mancos early on. He ripped open gadgets and stared with wonder at the small black chips inside of them — integrated circuits — and did everything he could to learn more. So he used the internet as his afterschool classroom. 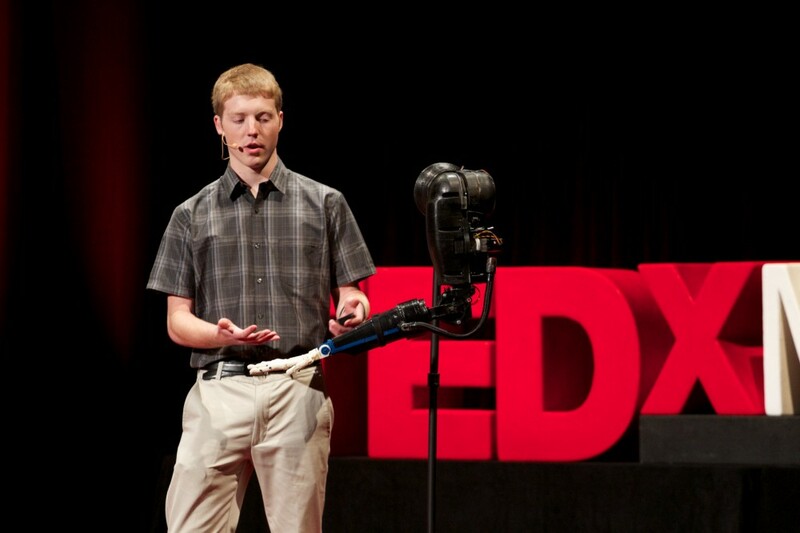 The open source community provided the designs and raw information for LaChappelle to build his first robot. And the cash-strapped boy was resourceful: He used fishing line for the tendons, motors from RC airplanes to move it, Legos as supports and electrical tape to piece it all together. LaChappelle was hooked. He couldn’t stop thinking of all the ways he could improve on his design. Around this time, LaChappelle was paying it forward to the online communities that had taught him so much by sharing his own work on YouTube. He started getting media attention, and that’s when his first big break happened: Popular Mechanics reached out to him. “They sent a big film crew over to my bedroom pretty much, when I was 15 years old, and did this big photo shoot,” LaChappelle says. Things were heating up. He entered his full prosthetic arm into the International Science Fair and came in second place. Then, the White House called. Then, NASA read the Popular Mechanics story and contacted the teen. At the ripe age of 17, he worked on the Robonaut team, essentially working to replace human astronauts with robots on spacewalks. The goal? 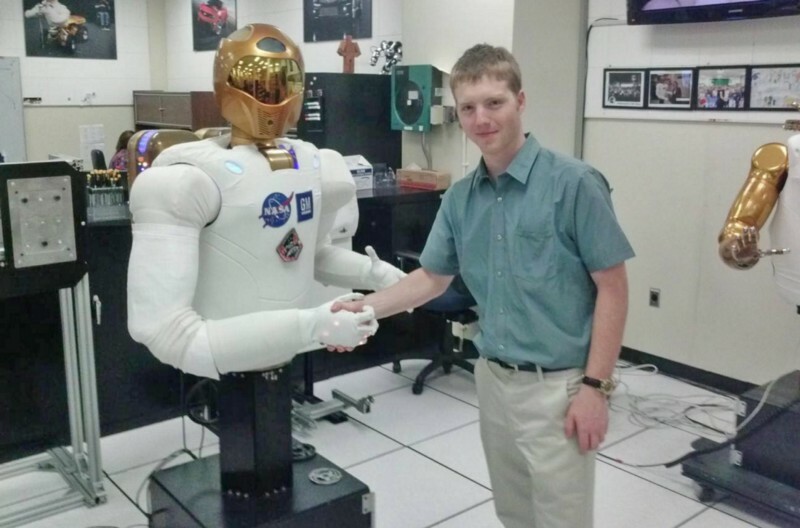 Sending a robot to the International Space Station. LaChappelle trained robots to do human-like tasks through gloves or VR headsets. The machines echoed his movements. So LaChappelle committed himself to private enterprise. Around this time, he met a small girl at a science fair who was wearing a $80,000 prosthetic arm. It made him realize just how unaffordable prosthetics were on the market at the time — and that he had the skills to do something about it. Most prosthetics are heavy, difficult to use and can cost up to $100,000 — an amount not everyone can afford. Through low-cost scanners and 3D printers, this young scientists was able to make a prosthetic arm customized for each amputee that weighs and costs significantly less than its predecessors. He realized that existing prosthetics weren’t just expensive. They were also heavy, especially for small children, and they lacked customization, so they didn’t match their owners’ skin colors or daily needs. The age of 17 was the busiest of his life to date, LaChappelle says. He spoke at universities around the world, and in between that, he managed to get even better at 3D modeling to make his devices incredibly lightweight. He also wanted amputees to more naturally control their prosthetic hands through muscle movements, so he studied brainwave technologies. “I had three 3D printers in my bedroom running 24/7 pretty much, just making new designs,” he says. Not too long afterward, LaChappelle gave a pivotal TED Talk about his life story. As a result of that speech, Tony Robbins asked him to go into business together. Robbins provided things that were key to the budding business: startup capital, mentorship, contacts. As a result, LaChappelle’s company Unlimited Tomorrow was founded in February of 2014. Another pivotal contact came along when Microsoft approached the young engineer to ask how they could help his important mission. Up till then, he had been “pretty much hacking an Xbox Kinect to scan people,” he says. 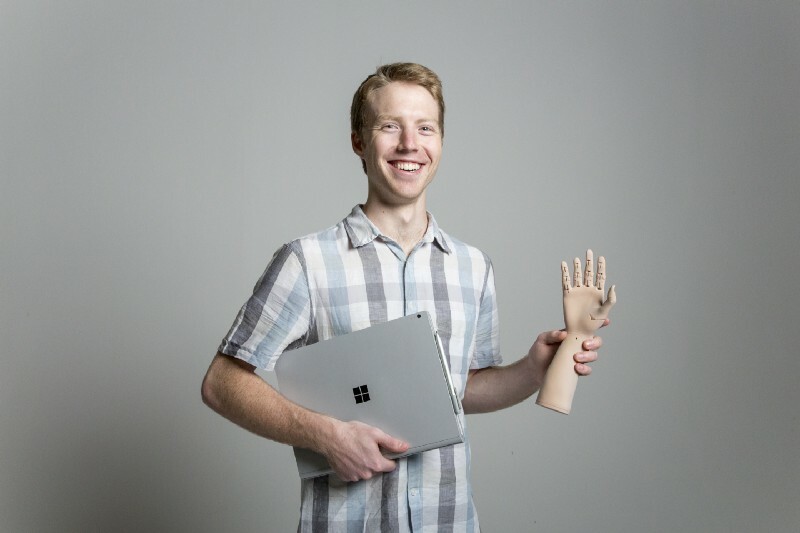 LaChappelle worked at the Seattle headquarters and learned about artificial intelligence and how he might integrate it to make his arms even better. That’s when the arms went from a rough 3D printed hand to something with full human-like capabilities — “with just amazing results, both aesthetically as well as functionality, which was really key,” he says. Once the arm was ready, the perfect user appeared: a young girl. 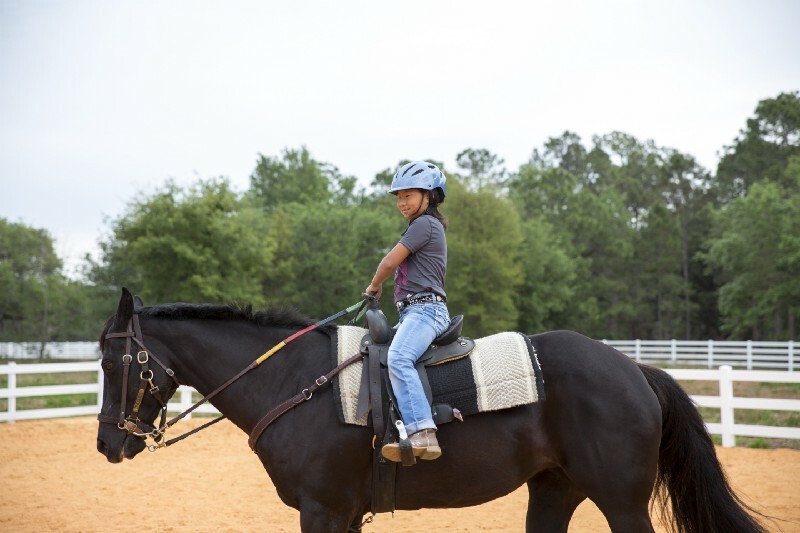 Momo lived in Florida, where she took advantage of its weather to ride horses and bikes. LaChappelle recognized the opportunity for the ideal user. She not only had an active lifestyle, but also an innocent straightforwardness. Through Momo, LaChappelle wanted to validate the model: creating prosthetics that could be unique to each individual and fit them like a glove. But it wasn’t just a moment for research — it was also emotional. All of those years of studying, mowing lawns to earn materials, and trial and error paid off when Momo loved her new hand. Thanks to the power of Unlimited Tomorrow’s story and its potential to change lives, donors kept appearing and asking to contribute. LaChappelle created a GoFundMe just to keep up with the outpouring of generosity. But the company wanted to take it to the next level. LaChappelle decided to open up the company to investors through Indiegogoso that more people could add to the story of Unlimited Tomorrow. He felt like he was giving them an opportunity to be a part of something positive. Not only that, but ordinary people were the ones who had helped Unlimited Tomorrow to become truly unlimited. “I’m here today because of the average people like that, that wanted to help or wanted to share and tell the story,” he says. And indeed, investors have followed him: The Indiegogo campaign page has raised $1,109,291 to date. Thanks to their support, the company is almost finished with its first product development. It’s aiming to launch with sales in August. “That will allow us to grow our commercial space, hire the core team that we really need to be able to turn this business into a company that can really compete within this industry,” he says. Unlimited Tomorrow will be launching another IndieGoGo campaign later in the year to create, test and donate 100 devices. Now, each costs as little as $5,000, but they’re hoping to raise $1,000,000 to give away those first 100 units for free. By giving away the product, the team hopes to work with the amputees closely, refine their model and begin making a noticeable change in the industry from the first day. Unlimited Tomorrow is also working with companies and organizations around the world to get amputees this technology at a global level. The team plans on mastering upper body prosthetics, and then they’ll move into legs and feet. They’re even looking at devices that assist with exoskeletons, which can help patients with MS or who’ve suffered from a stroke to regain mobility and improve their daily lives.